We are recognized manufacturer and exporter of a range of matchstick such as kitchen matchstick, safety & wax matchstick. Maintaining high standards of quality in our matches, we have established a strong foothold in the concerned arena. We offer a wide spectrum of high- grade match sticks and match boxes that have wide usage in various commercial and domestic purposes. 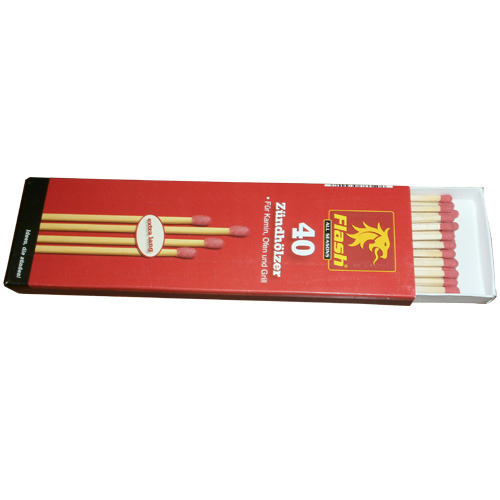 Our range includes safety match sticks, wooden match sticks, wax match sticks, colored match sticks and book match sticks. We also manufacture safety match machinery. Manufactured with complete precaution and attention to intricate details, our products are available in various sizes and dimensions.